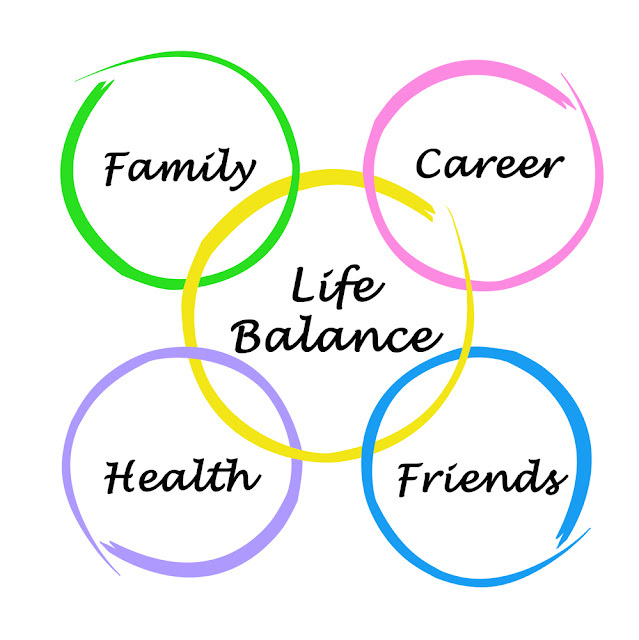 Definition :: Work–life balance is a concept including proper prioritizing between "work" (career and ambition) and "lifestyle" (health, pleasure, leisure, family and spiritual development/meditation). We look work and life as opposite sides. We feel balance requires less work if we want to give more time to life. These days when you leave the office -- if you go to an office at all -- it's easy to take the office with you on your laptop/mobile devices. “A survey by the software company says more than 80 percent of us keep checking emails and taking calls. On average, we put in an extra seven hours a week. The good news is that we will be able to do our jobs smarter, faster and more productively via the virtual workplace. The bad news is that we don’t know where and when to draw the line between work time and personal time. some of us can’t seem to break away from periodically checking our work emails – and responding – regardless of where we are, as well as the time of day or night. It makes sense that we don’t want to miss anything while working remotely, even after regular business hours. But constant connectivity to a job may take a toll not only on one’s health, but also damage personal and family relationships. We must make conscious decisions to shut down digital/mobile communications for work use during non-work hours -- at least to some extent. This is particularly applicable when Uncle Sam is not compensating us for the extra time and work. "When your work life and personal life are out of balance, your stress level is likely to soar"
· Fatigue. When you're tired, your ability to work productively and think clearly might suffer — which could take a toll on your professional reputation or lead to dangerous or costly mistakes. · Lost time with friends and loved ones. If you're working too much, you might miss important family events or milestones. This can leave you feeling left out and might harm relationships with your loved ones. It's also difficult to nurture friendships if you're always working. · Increased expectations. If you regularly work extra hours, you might be given more responsibility. 1. Simple time management works wonders. Write down how you spend your time for a week. For each day note down task, time and result of that task. After one week analyze what are the task you can get rid of and where you need to focus your time. 2. Delegation is also important aspect. We all want to shine and want to feel important but at the same time we need to grow as a team. So delegate your work and give chance to yourself and others to grow at the same time. 3. Meetings as their biggest time-waster. Don't be afraid to ask for clarification of a meeting's purpose or outcome. 4. Focus on what’s important: we all are going to be measured on certain parameters, so focus your energy and time towards those goals. 6. Separate your work space from your life space. Allocate separate time for that and try hard NOT to mix them. Make a habit, Mind listens to what we say to it. When you are working, work. When you are spending time with your family, focus solely on them.